Gesu School serves 450 PreK-8 students from the most impoverished neighborhoods in Philadelphia, in a community surrounded by some of the city’s highest poverty and crime rates. Gesu was established in 1993 as an independent Catholic school when its Jesuit-founded parish closed its doors after 105 years in North Philadelphia. The school strives, with selective admissions, to provide a quality, innovative education for its neighbor children to empower them to break the cycle of poverty and violence. The school has demonstrated success in structuring a solid education for all of its students, but especially for those who struggle with its strong core curriculum. Extensive remedial programs, resource rooms, counselors, a social worker, and summer camps figure prominently in these extended efforts. Yet, Gesu wanted to do more. Its leaders wanted to raise the sights of another segment of its students — the younger, higher-performing girls and boys — with academic programming that would stretch the limits of their ability and creativity as well as stem any chance of summer learning loss commonly experienced by students attending inner-city schools. Gesu School leaders introduced the Youngest Scholars Program in 2008 to provide high-achieving students in the third, fourth, and fifth grades with in-depth academic programming that begins in a five-week summer session and continues in after-school sessions throughout the year. Every year, the top 10 to 15 second-graders are selected for invitation to the program. Students focus on a themed curriculum — such as the Rainforest, Ocean Life, the Olympics — accompanied by a comprehensive set of skills-based activities organized by the program director, Gesu teachers, and volunteers. The curriculum uses Common Core state standards as well as additional in-depth exercises measuring student response to the program theme. Daily work covers cross-curricular writing selections, research topics, connections to math and science through integrated learning methods, and reading passages from fiction and nonfiction theme-based chapter books and novels. Field trips and team-building tasks further build on the chosen theme. The rigorous standards purposely emphasize depth rather than breadth. This summer programming leads into school-year reading groups, after-school STEM-related programming (science, technology, engineering, math) through Rosemont School of the Holy Child, and after-school literacy, athletic, and culture-based programs built on concepts introduced in the summer. The Youngest Scholars Program that began in 2008 with 20 students now serves upward of 35. The summer 2016 theme, “Philadelphia: Then and Now,” challenged students with research tasks on the city’s history and on important Philadelphians such as Benjamin Franklin and William Penn. Students completed theme-based trips to the Franklin Institute, The National Liberty Museum, Franklin Post Office, the Liberty Bell, and The National Constitution Center. Evaluations of student achievement following the summer session revealed scores in the exceeds goals, meets goals, and developing appropriately ranges. No student needed improvement. Twice-per-week after-school reading assignments further focused on vocabulary exercises, literary circles, critical thinking, and year-end projects. The 2016 Youngest Scholars Program proved to be highly effective in engaging Gesu’s brightest young students, providing them with scholarly opportunities that supplement the school’s standard curriculum and creating a ripple effect on in-school performance — as measured by report card scores in reading, effort and study skills, and personal and social growth — throughout the 2016-17 academic year. Most Rev. Charles J. Chaput has been serving as Archbishop of Philadelphia since 2011. Born and raised in Kansas, Archbishop Chaput joined the Order of Friars Minor Capuchin, St. Augustine Province, in 1965. 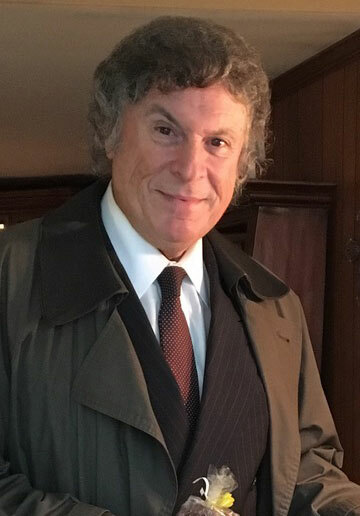 He earned a bachelor’s degree in philosophy at St. Fidelis College Seminary in 1967, completed studies in theology at The Catholic University of America in 1969, and followed with master’s degrees in religious education from Capuchin College in Washington D.C. (1970) and theology from the University of San Francisco (1971). Archbishop Chaput was ordained to the priesthood on August 29, 1970 and served as an instructor in theology, a spiritual director, and pastor before appointments to several administrative posts. He was ordained Bishop of Rapid City, South Dakota, in 1988. As a member of the Prairie Band Potawatomi Tribe, he was only the second Native American to be ordained a bishop in the United States and the first Native American archbishop when named to that position in 1997 for the Archdiocese of Denver. With the collaboration of predecessors and colleagues, Archbishop Chaput founded St. John Vianney Theological Seminary in Denver, Centro San Juan Diego to service the growing Hispanic community in Colorado, the national Catholic Association of Latino Leaders, the ENDOW leadership initiative of Catholic women, and the Denver-based Augustine Institute, an independent lay-run graduate school for the formation of lay Catholic leaders, catechists, and evangelizers. 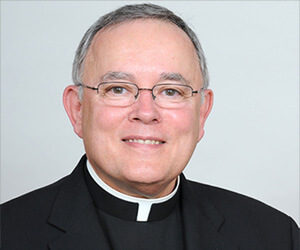 Archbishop Chaput is a frequent speaker at national and international conferences, a sought-after guest for broadcast interviews, and the author of multiple articles, essays, commentaries, and books on contemporary culture and Catholicism, including Strangers in a Strange Land (2017). Matthew H. McCloskey IV is president of the McCloskey Financial Group. A civil engineer by education and early career, Matt entered the financial services profession with a regional firm in 1969. He later formed the McCloskey Financial Group, which prides itself as “faithful stewards of family wealth.” In addition to heading the Archdiocesan Educational Fund, following his grandfather and father, Matt serves as vice president and treasurer of the Martin de Porres Foundation, which was also established and funded by his grandfather. Matt is a graduate of the University of Notre Dame. He and Donna, married 54 years, are parents of of six adult children and grandparents of 17 grandchildren. Matt and Donna live in Bryn Mawr and are members of St. John Vianney Parish, and in Vero Beach, Florida, where they are members of Holy Cross Parish. 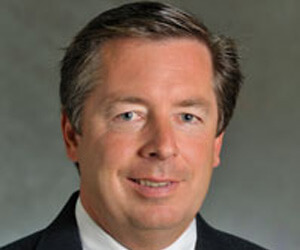 Andrew McCloskey is chief investment officer of the McCloskey Financial Group. He earned a bachelor’s degree in government from the University of Notre Dame in 1992. Andrew serves on the board of the James A. Finnegan Foundation and is a member of the Board of Governors of St. Joseph’s Preparatory School. Andrew also was a member of the Waldron Mercy Academy board, serving as chair from 2011 to 2015. Andrew and his two children live in Bryn Mawr and are members of St. Thomas of Villanova Parish. Most Reverend Michael J. Fitzgerald is Auxiliary Bishop of the Archdiocese of Philadelphia since 2010 and Vicar for Catholic Education. 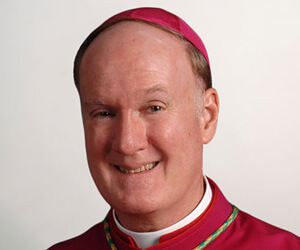 Bishop Fitzgerald earned a bachelor’s degree from Temple University in 1970, a law degree from Villanova University in 1973, and a Master of Divinity degree from St. Charles Borromeo Seminary in 1980, the year he was ordained. He was ordained a bishop on August 6, 2010. Bishop Fitzgerald is also a canon lawyer, awarded his degree by the Catholic University of America, and holds a doctorate degree in law from the Gregorian Institute in Rome. Bishop Fitzgerald has served the Archdiocese of Philadelphia as a judge of the Metropolitan Tribunal, as the founding director of the Office for Legal Services, and in the roles of Promoter of Justice and Judicial Vicar. Monsignor Daniel Kutys serves as Vicar General and Moderator of the Curia for the Archdiocese of Philadelphia. Ordained in 1980, Monsignor Kutys has served as a parish priest, a high school faculty member, and Director of Religious Education before moving to Washington in 1998, where he worked in several positions related to education and catechesis for the U.S. Conference of Catholic Bishops. He returned to Philadelphia in 2009 and was appointed pastor of Ss. Peter and Paul Parish in West Chester until taking on his current role. Charles Ladner is a graduate of the University of Notre Dame, Columbia University (MBA), and Villanova University (M.A.). 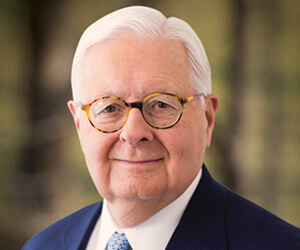 He retired from UGI Corp. as chief financial officer in 1998 and from John Hancock Mutual Funds in 2010, where he served on the board for 31 years and as chairman from 2002 to 2006. 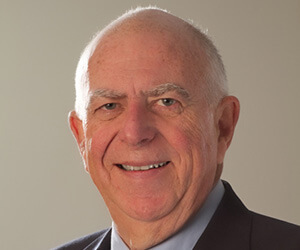 Chuck is chairman emeritus of Dunwoody Village retirement community in Newtown Square. The parents of four adult children and nine grandchildren, Chuck and Diane are members of St. Monica Parish in Berwyn. Ann Menna is Deputy Secretary, Catechetical Formation, with the Archdiocese of Philadelphia. She earned a bachelor’s degree in elementary education at Gwynedd Mercy University and a master’s degree in religious studies from St. Charles Borromeo Seminary. 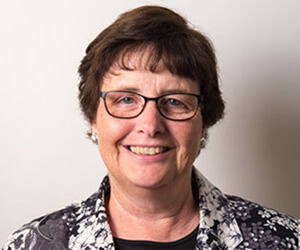 Ann served as Director of Elementary Religious Education for the archdiocese before moving into her current position in catechetical formation, which fosters and supports the catechetical initiatives of the archdiocesan Catholic schools, parish religious education programs, and Catholic campus ministry. Ann and Frank are the parents of four adult children and grandparents to four grandchildren. They are members of Our Lady of Mount Carmel Parish in Doylestown. Brian McCloskey is the financial aid director at St. Joseph’s Preparatory School, where he also coaches rugby. Brian earned a bachelor’s degree in communications from Fairfield University in 2005. 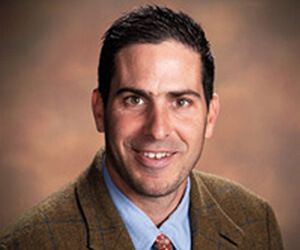 He serves on the board of Drexel Neumann Academy in Chester, Pa. Brian and Maridel, also a Fairfield graduate, are parents of four girls and one boy ranging in age from 14 to 5. They are members of St. John Neumann Parish in Bryn Mawr. 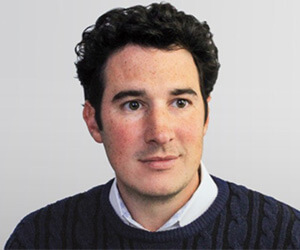 Sean McCloskey is a consultant with Transmogrify, where he oversees business development for the Conshohocken-based website and mobile app design and development firm. He earned a bachelor’s degree in political science from the University of Richmond in 2003. Sean serves on the board of Guadalupe Family Services in Camden, New Jersey, an organization that delivers counseling and social services to troubled families. He has been a board member of the University of Richmond Alumni Association since 2013 and serves on its Outreach Committee. Sean lives in Wayne and is a member of St. Thomas of Villanova Parish. 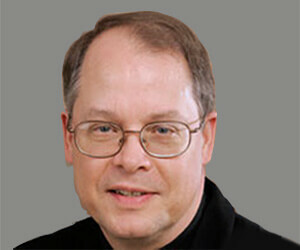 Timothy O’Shaughnessy serves as chief financial officer of the Archdiocese of Philadelphia. Tim joined the archdiocese from St. Joseph’s Preparatory School, where he held the position of CFO from August 2008 to April 2012, responsible for overseeing all finance-related matters. 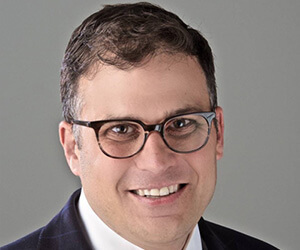 He previously worked for ARAMARK as Senior Vice President and CFO of the Business, Sports and Entertainment Group and served on the company’s Business Conduct Policy Committee, which in part focused on improving internal controls and procedures to prevent loss. Tim and Marianne are the parents of five children and are members of St. Maximilian Kolbe Parish in West Chester. An active member of the Archdiocese of Philadelphia for more than 30 years, Jorge Ignacio Fernández was named a four-year Charter Member of the Archdiocesan Pastoral Council by Archbishop Chaput. He has performed extensive evangelization and social services work in his native Cuba since 1998, when he returned to his homeland with Pope John Paul II (St. John Paul), and later with Pope Benedict VI in 2012 and Pope Francis in 2015. Jorge Ignacio is the retired president of Estée Lauder Group (NYC) and continues as an international advisor and investor. He is a founder and executive producer of La Santa Misa TV Mass — which is filmed monthly at the Cathedral Basilica of SS. Peter and Paul — established in 2007 and now on UNIVISION. He is a member of the Serra Club of Philadelphia, the Hispanic Outreach Committee of Saint Charles Borromeo Seminary, the Pastoral Council and Hispanic Outreach Committee of his Our Lady of Guadalupe Parish (Buckingham, Pa.), and the committee for the annual Philadelphia Archdiocese Hispanic Heritage Mass. Jorge Ignacio is a Charter Member of the national Catholic Association of Latino Leaders and is involved in the expansion of Hispanic ministries within the Archdiocese of Philadelphia. He is also active in immigration reform at the local, state, and national levels. Jorge Ignacio and his wife, Pamela, have three grown children and live in Bucks County. James Gallagher is a founding advisor-teacher with the School District of Philadelphia at Vaux Big Picture High School. He served as principal of West Catholic Preparatory High School and has taught at the Lingelbach Elementary School, the Young Scholars Charter School, and at St. Joseph’s University as an instructor in elementary education. Additional professional experience includes business analyst, marketing and sales director, and account executive with marketing and communications firms. 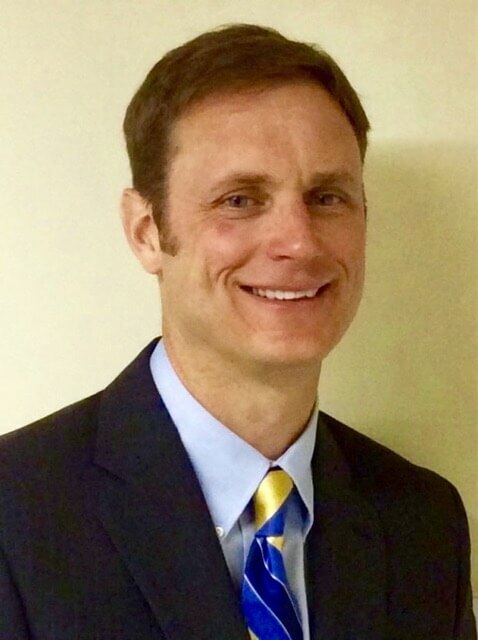 Jim is a graduate of Kutztown University and earned a master’s degree in education from Temple University, as well as multiple teacher certifications. He is completing a master’s degree in educational leadership, with principal certification, at St. Joseph’s University. Jim and his wife, Elizabeth, who is the associate director of academics with the Alliance for Catholic Education (ACESJU) at St. Joseph’s University, are the parents of two girls and two boys, students at St. Louis University, St. Joseph’s Prep, and Merion Mercy Academy. They are members of St. Margaret Parish in Narberth.